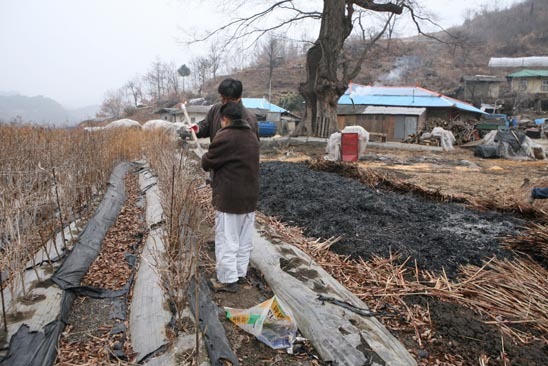 Tremolite asbestos was found by researchers in a populated area in close proximity to a redundant asbestos mine in Susan county, Jecheon City, Chung-Cheong Buk Province.2 The highly toxic substance was identified in the surface soil of agricultural fields and on a school sport's ground. On February 11 BANKO researchers returned to the test site to begin a medical survey of local people. Five former mine workers underwent CT tests; two, who had worked in the mine for more than 10 years, were found to have asbestosis and pleural plaques, one had inactive pulmonary tuberculosis, one had emphysema and one was normal. BANKO staff, who are following up on these results, are calling on the government to provide the resources needed to quantify the situation and to remediate the problems. 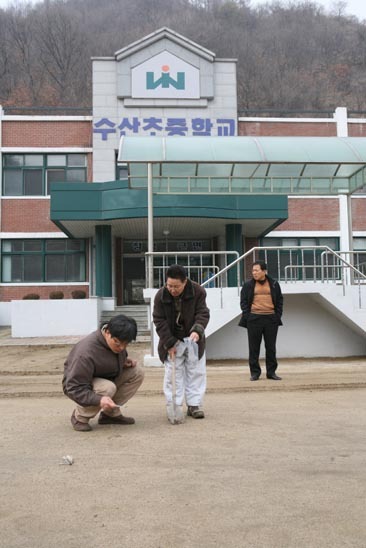 1 The use of all types of asbestos was banned in Korea as of January 2009. 3 The samples were analyzed by photoluminescence microscopy (PLM) and field emission scanned electron microscopy (FE-SEM) and then by energy dispersive spectroscopy (EDS).